Homemade granola bar recipes make me daydream. Ingredient possibilities are limitless. None of that store-bought preservative crap--just real food. I must be getting spoiled. Lately it seems that store bought food taste like cardboard compared to fresh homemade goods. And store bought granola bars are high on my hit list. Two bites and they're gone. My brain doesn't even register them as food. But the homemade recipes I've come across on the web are brilliantly made. 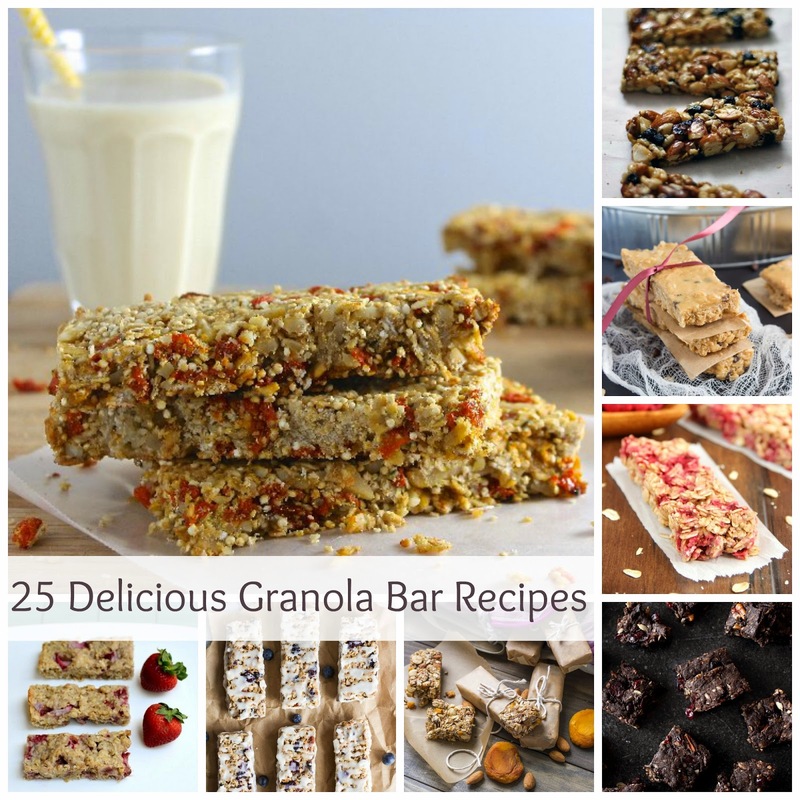 Check out the real food included in my granola bar roundup. What ingredients do you dream of using in granola bar recipes?